From now on, the national news and your social media friends will remind you that Gene Wilder died on August 29, 2016, but another man died that day who had far greater influence on my life. He wasn’t visible to national news writers, but his work was arguably more important than 95% of those who will be profiled this week and next. He was Dr. Wayne Barber, pastor of Woodland Park Baptist Church in Chattanooga, Tennessee. Wayne emphasized God’s grace for as long as I knew him. I studied the book of Romans with him in a class at Precept Ministries, which took two years and required reading that epistle several times–a great way to study the Bible. I believe he said his favorite song mirrored his favorite topic: Jesus be Jesus in me. I wish I could say I will never forget one of his messages on Romans 6, but the truth is I can barely remember any of it, but the effect of the whole moved me. It was essentially an extended illustration. He even paused after fifteen minutes to say he was not just winging it to burn time but would come to a point soon. That point, bringing with it all the power of a good story, was that we cannot outrun God’s grace nor can we abuse it. If God intends to save us, we can’t force him to forget us, but if he has saved us, he won’t let us forget him either. If we are truly free of sin’s bonds, he will not allow us to continue to submit to sin’s authority. But the other side of that message is what Wayne apparently saw in many congregations, the desire to live free of sin in our own power. We recognize that we have been made in the image of a hand, designed to hold, pull, touch, and lift things, but we are only gloves. We can’t grab anything without an outside power within us, but that hasn’t stopped us from trying. Wayne was easily the kind of pastor you’d want to see in a quarter of all of the churches in the world. He was funny, loving, and wise. May the Lord continue to bless us with men like him. Where Was the Grace for Achan? The story of Achan’s sin in Joshua 7 may be troubling to casual Bible readers. It’s the kind of story used as evidence by those who wish to believe the God of the Old Testament was all wrath and judgment, while the God of the New Testament is love and forgiveness. But we understand that the One who cut his covenant with the people of Israel is the One who raised our Savior from the dead. He is the unchanging, holy, and eternal God of heaven and earth. So shouldn’t Achan have received some grace? These words from the old Key/Wilcox hymn adequately summarize the theme of Brideshead Revisited . Perhaps they even spoil the plot a bit, but this isn’t a plot-driven story. It’s relationship-driven—maybe faith-driven. Waugh draws out the fatal ease of his characters so that we can see what God’s grace does to them in the end. The narrator, Charles Ryder, is in the British army when the book opens. 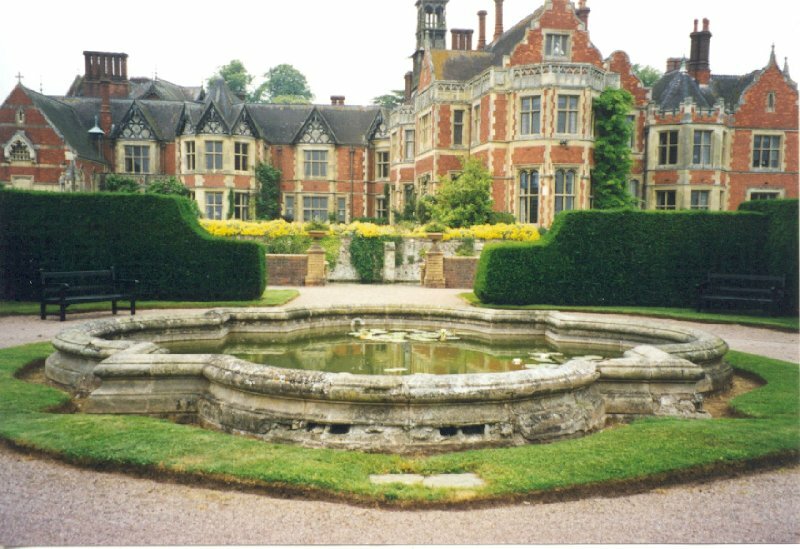 His unit relocates to the Bridehead estate, which provokes the sad memories of the rest of the novel. They don’t seem sad at first. When Charles begins his studies at Oxford, he meets Sebastian Flyte, a very friendly young man whose eccentricities seem only to endear him to almost everyone near him, especially Charles, who falls in love with him. Sebastian, a year ahead of Charles, has collected a handful of homosexually inclined friends, the worst of whom is Anthony Blanche. Without Christ, we have our sin, no matter how we dress it up. If we do not let Him pay for it, we will. If we do not end our lives as holy (“no one is ever holy without suffering”), we will end them in torment, having succumbed to life’s fatal ease.